I like the placeholder art - nice touch, even if you don't have the graphics for it yet, better to have something out there than nothing at all ;) Nice change to the rest of the action games out there (seems most of us followed BS's advice :p ). One nag: different tunes for each level would have been a nice touch. And good job with your video review stream btw - the BS community is awesome thanks to chaps going the extra mile like you!! Thumbs up! The rhythm doesn't sync up right, otherwise it would be a pretty cool take on the theme. 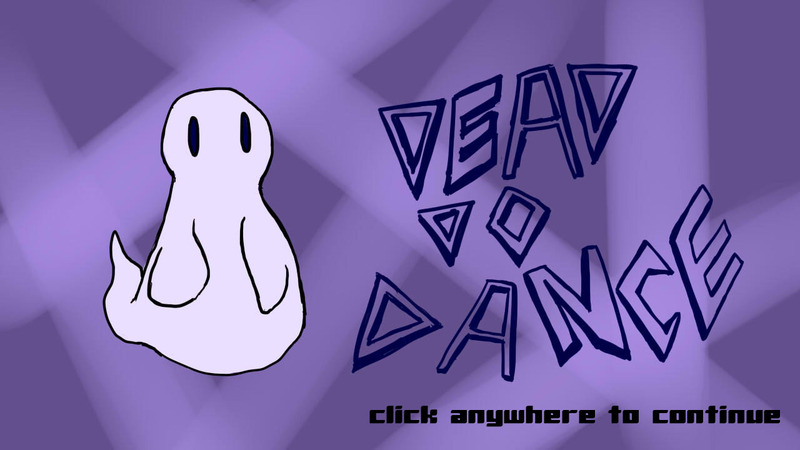 Can definitely see the challenge in doing a rhythm game and syncing up the beats correctly, a good try! Music games are my favorite genre. Love the twist from traditional rhythm games. Nice work! Sweet game, with a nice soundtrack. Great job! I couldn't figure it out at first (I chose easy right away) then I did the tutorial and I was like OOH, NOW I GOT IT!! A solid beat button pattern game, I really like the artwork! The music was nice too. Good submission! I like the DDR style, and feel like you should give an option to choose between the keys that are currently set or the numpad. 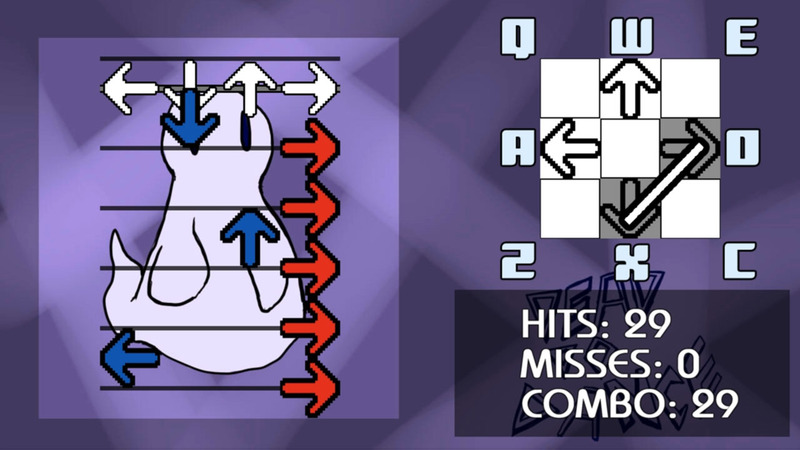 There are already arrows on the numpad keys :-) The song wasn't overwhelming and i liked all of the placeholder art. Easy just felt like the tutorial part and hard was still too easy. The scroll speed was way too slow, especially when left = right and up = down. Nice work overall! 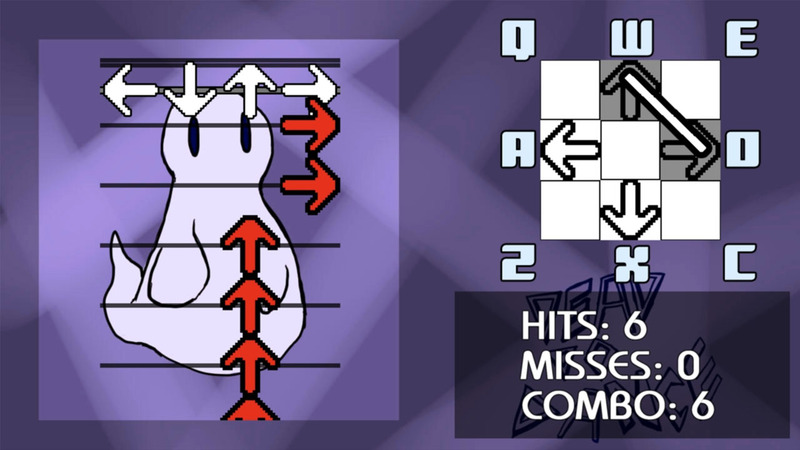 In earlier jams I tried to make games in which the music matches the gameplay, but man, its so hard! The sync is the hardest part... and you made a really good job with that! I missed a dancing ghost at the background haha but I think you didn't have time because of the sync. Nice work! This is a framework of something really neat. The idea of switching between arrow keys is pretty cool and it's something I haven't seen done before. The music does not match well with the gameplay. It's slow and doesn't really have any notes that would immediately jump at you. The arrows are similarly sluggish. Even the hard difficulty, although it has the most happening in it, is still painfully slow. Still, for 48 hours of work it's alright. With some serious work put into it you could make something downright groundbreaking. 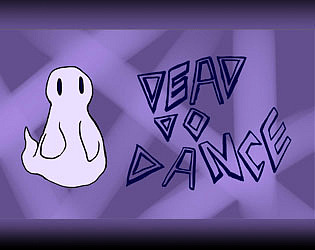 Also, the ghost looks super cute. Animating him/her and putting them on the side could make for a neat feedback on how well the player is doing.